The air ambulance had to land in a Northampton industrial estate to deal with an accident at an engineering company. 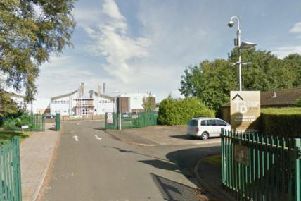 A worker at Bearward Engineering in Main Road, Far Cotton said at around 11.20am that there had been "an accident" and it had been" dealt with". The fire service was called at 10.32am to assist the ambulance. A spokeswoman for East Midlands Ambulance Service said: "We received a call at 10.18am this morning to Main Road, Far Cotton, Northampton to assist with a medical emergency. "We sent the air ambulance, a paramedic in an ambulance car, a medical first responder and a crewed ambulance. "We transported one patient to Coventry and Warwickshire University Hospital."